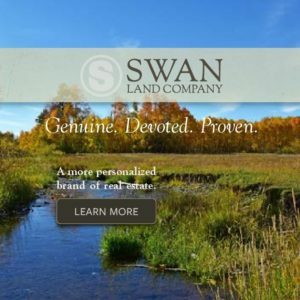 My only worry with the sod roof,” says Aman Villa homeowner Deb Sybert “is one day finding a moose taking up residence there.” It’s not far-fetched to imagine wildlife mistaking the lush green roofscape for an inviting place to roam. 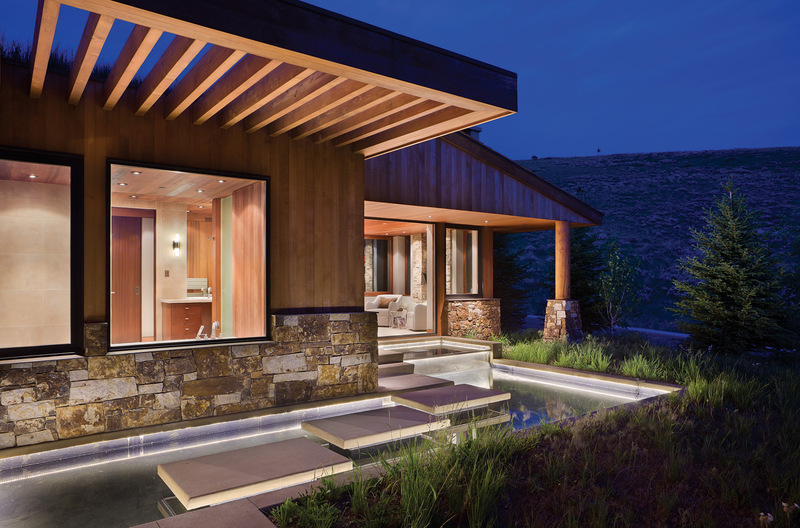 The Syberts’ home is the most recent of nine Aman Villas designed by Ward + Blake Architects of Jackson, Wyo., incorporating environmentally responsive features including roofs sown with native grasses on the Amangani resort’s sublime hillside setting. While the cohort of private residences associated with Jackson Hole’s exclusive Amangani shares the resort’s impressive guest perks and location ­— and adheres to a series of design directives created by Ed Tuttle, architect for the 40-suite Amangani hotel and other Aman Resorts around the globe — ultimately homeowner requirements meld with the landscape’s narrative to dictate each residence’s storyline, explains Ward + Blake principal, Mitch Blake. 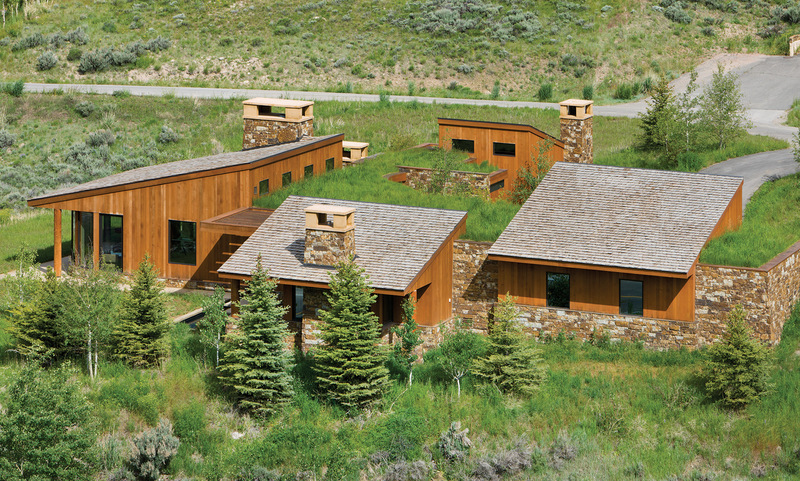 Coming up on its 20th year in business, Ward + Blake Architects is known for its site-sensitive, bio-climatically responsible and honestly expressed modernism, including its award-winning “EarthWall II” residence and innovative energy-saving public buildings such as Teton County’s The Ranch Childcare Center. 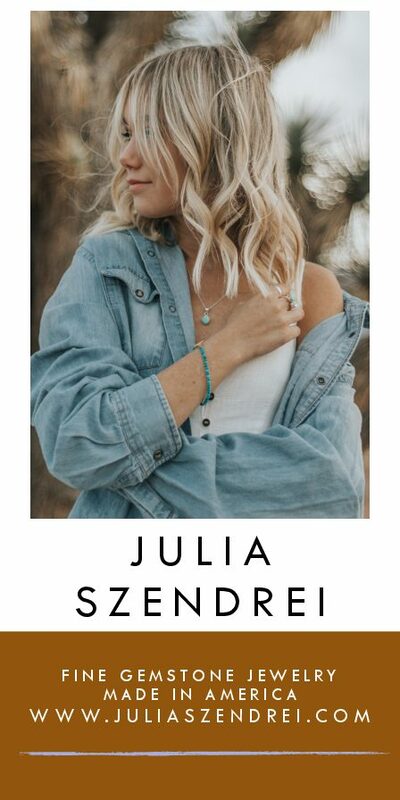 That elemental design ethos proved a seamless fit with Tuttle’s Amangani aesthetic, which requires each home to complement the natural character of the land, including unassuming low-pitched roofs and an earth-inspired material palette of stone and wood. 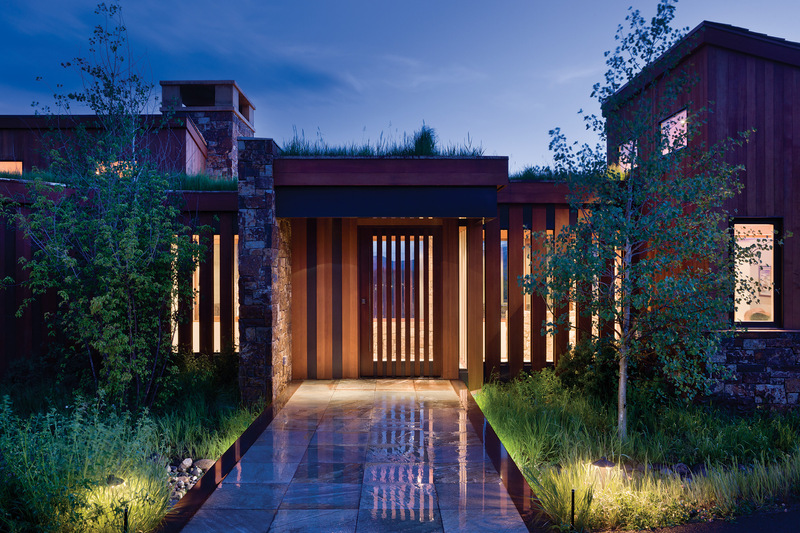 While Ward + Blake worked within the Aman development’s guidelines for its villa designs, the firm also found inspiration in its long experience of designing residences to withstand double-digit snowfalls and temperatures that can crater to -30 F.
“We introduced sod roofs and refined some details to hold up better in Jackson’s extreme winter conditions,” says Blake. The villas retain the spirit of Tuttle’s organic plans — based on resort work in such exotic climes as Thailand and Bali — that link pavilions with outdoor spaces to invite nature in. “The effect of moving through spaces with varying proportion and light creates a dynamic sensory experience,” says Blake of his firm’s Wyoming version of the concept, where daylight-filled enclosed corridors replace Tuttle’s alfresco ones. Ohioans Deb and Daryl Sybert, owners of the most recently completed Aman Villa, share a deep fondness for dramatic landscapes and four-season adventure. 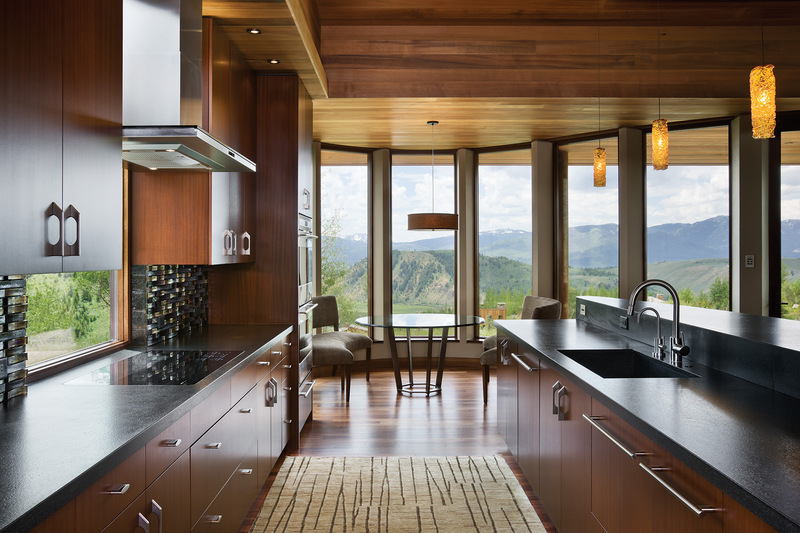 Newcomers to Ward + Blake’s mountain modern aesthetic, they still experienced resonance with the firm’s site-first approach to fully embrace their south-facing homesite’s idyllic views of blue-green fields of sage and snow-tipped mountains. A stone bridge built over a lushly planted drainage gully guides visitors to the Sybert home’s main entry. Once there, views through the door’s wood panels offer tempting glimpses of light and vistas beyond; inside, the walls give way to the endlessly changing mood of the surrounding landscape. Strong, seemingly simple geometries express the home’s layout. An L-shape (with an occasional soft curve) follows the topography and orients shared living spaces and bedrooms to the south, optimizing solar gain during Jackson’s low-light winter days, while long overhangs protect the interior from harsh summer sun. And though most of the home’s roofline is cloaked in native vegetation, architect Blake used a series of shed roofs featuring high clerestory windows to deliver natural light deep into the interior, aligning the interior circulation with large apertures into the landscape to surprise and delight at every turn. Inside, south-facing windows connect with views, while maximizing the solar gain to allow light into the main living space. Stepping stones seem to float on a water feature that wraps around the exterior of the house, where the material palette of stone and wood are reflected in the water. Wooden slats, backlit by the interior lighting, peak curiosity and ensure privacy. Ward + Blake designed the expanse of square footage to appear smaller with multiple volumes of shed-style roofs joined alternately by sod roof sections. 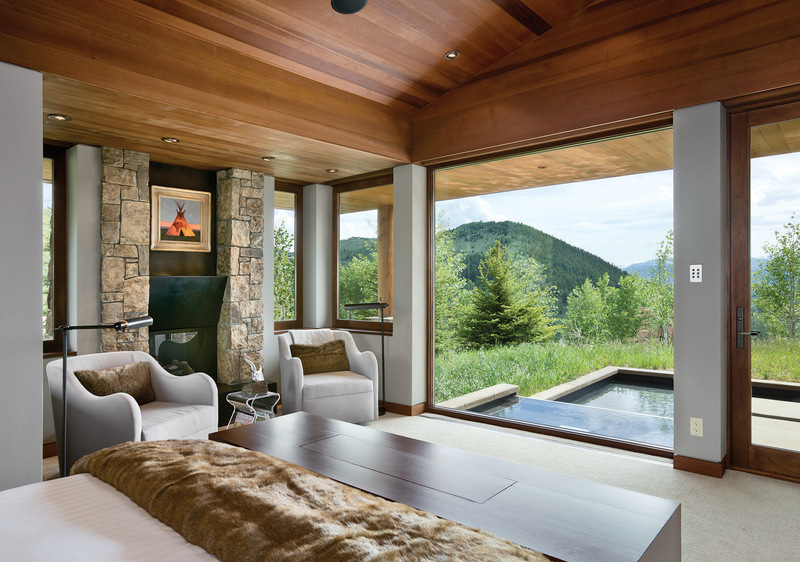 A Tom Gilleon painting hangs over the mantel in a bedroom that opens seamlessly to the outdoors. Dual showers in the master bathroom maximize luxury and dual vanities streamline the flow of the private space. 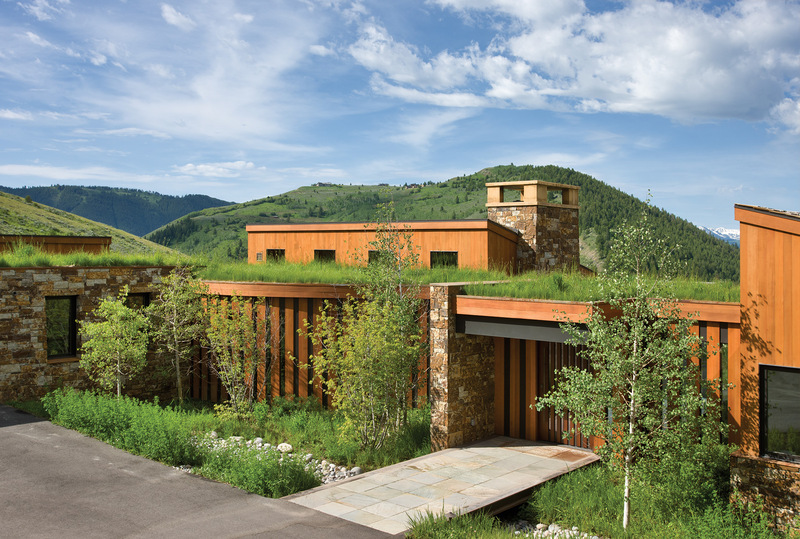 Native grasses incorporated into the sod roofs of a newly completed Aman Villa melds the architecture to the landscape.